With most heritage railways not having turntables, steam photography on these lines is limited to 50% of what can be achieved during diesel galas, due to tender or bunker first running. However, occasionally photographic opportunities do arise. I spotted this disc roller in a field next to the line at Hailes, during the Gloucestershire Warwickshire Railway's Steam Gala on 17 October 1993. 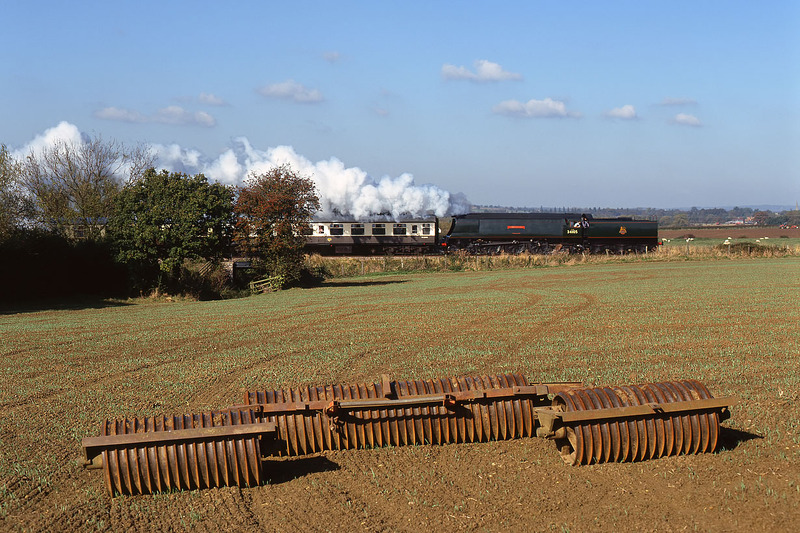 It makes an ideal foreground for West Country Class 4-6-2 34105 Swanage, as it makes its way back to Toddington from Gretton.